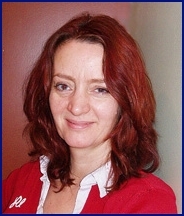 Arclight Solutions was founded by Jane Galloway in 2006. The firm is a specialist in the 'not for profit' sector, providing expert advice on fundraising. We can help raise: Core, Project (including salaries) and Capital Building Costs. Check our Resources page for details of our Consultants, Terms & Conditons and useful links. Fundraising consultants - profiles of some of our highly experienced charity and not for profit advisors. Testimonials from our clients on our work in fundraising consultancy and training. Latest news from the Arclight blog and Twitter - projects and clients.